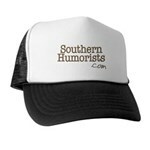 A dear member of Southern Humorists, Asa Sparks, passed away December 10, 2007 at the age of 70. A charming southern gentleman, he amused us with his sharp wit and funny stories. He was a friend who enjoyed a productive life and a rich sense of humor and who offered his advice and support to many of us. He is sadly missed. In tribute, we are republishing some of the stories he submitted to our writers' discussion list on YahooGroups. We attended every year whether we needed to or not. We needed to. I remember fire and brimstone sermons on hell. There was a lot of yelling and running around in those sermons. One preacher liked to turn off the lights and drag log chains up and down the aisles. I went down to the altar and got saved after every one of them. I only know some of the things I was guilty of, but there weren’t many. I was a compliant young boy. I think that sometimes I went down to the altar to repent for being alive. One time the whole crowd and was asked to come down and repent. Unfortunately, I had nothing (at that time) to repent about. I just stayed there on my knees until they were through repenting. I also remember one of Lawrence Hick’s sermons on the crucifixion. All you had to do was close your eyes and visualize. I could see Jesus hanging on the cross. I got saved after that sermon. Dr. (honorary) Hicks was great in helping us visualize heaven. Just to be sure, I got saved after those sermons too. Then, I discovered girls and had genuine impure thoughts to repent about. Usually I came home and was deeply in love for two or three letters. At one camp, the boys were housed in a tent and we slept on our cots head to toe. One night my best friend talked in his sleep about how he was going to steal my girlfriend. He lost. Most of the camp meetings I attended were in Eastern Kentucky. But there were others in WV and AL. Yes, the food was “Southren” wonderful. Fried chicken, pork chops, white beans with raw onions, fresh vegetable, etc. The cooks were recruited from among the pastor’s wives who knew how to cook. I don’t remember my mom being recruited. Her job was to pray at the top of her lungs in prayer time. Helped us all to know who needed to be saved. It was God blessed gossip through prayer. I asked her once if her God was deaf. Don’t get me wrong, she was a saint. Unique, but a saint. A couple stories about Millport, AL, Mosquito Capitol of the World Camp. I was “growed” up and one of the night monitors. Several boys snuck out without shirts. The monitors just sat on a bench, swapped stories, and waited. The guys could not come in without getting caught. The mosquitoes had a feast. We monitors had Off and Campho Fenique. We had outhouses for the guys. I remember one who went in one for a lengthy sitting meditation session. Again, the mosquitoes enjoyed the offering of grapes. Or, was it a wasp? It seems to me that one of the requirements for continued residency in an Independent Living Retirement Center is to spend a few days in a hospital. I always try to pick a weekend so that I can rest and not be bothered with medical service interruptions. Friday, I had an appointment with my podiatrist (referred) for the quarterly sanding of my nails. And Medicare saves me the expense of going to a beauty shop. When the nurse was finished and had painted my nails with Betadyne, the doctor came in to examine my feet. He was not happy with my breathing (between my toes?) and called my Internist who immediately referred me to the ER. Love the rush that goes on there. The phlebotomist sprayed blood all over and ruined one of my favorite shirts. She should go to Singapore at her own expense and buy me a replacement. They gave me a massive dose of diuretic and I dozed on the porta-potty for the next, highly productive, hour. Seven hours later, I was admitted to the hospital. I have slowly learned the rules of Medi-cruel. My internist refers me to whomever is needed. Along the way, I have collected an orthopedist, urologist, dentist, dental surgeon, ophthalmologist, etc., etc. The nurse showed an inordinate concern about the color of my feces. I fully expected a cacaologist or a cosmologist to be referred next. He never showed. Instead, another specialist was called in. I will not publicize that specialty by naming the type. Let it be said that the specialist on-call was borne in on a chair-litter carried by eight interns. When they got to the door, the interns genuflected and knee-walked through. When they stood again, he nearly bumped the sprinkler system with his rather large head. From his position on-high, he looked down at me and ordered what he thought needed to be done. With that he swept out the door to deal with other patients in need of his marvelous care. The next day, I asked for a second opinion. Sparks, Asa Howard, 70, son of Asa Hill and Pansy Violet Sparks of Nashville, TN, entered the gates of Heaven on Monday, December 10, 2007. A memorial service will be held at Faith Community Church of the Nazarene, 159 Luna Lane, Hendersonville, TN on December 30 at 2:00 PM. Asa received his B.A. in Speech/Education and Psychology from Trevecca Nazarene College in 1958; MDiv. from Christian Theological Institute in 1972; DD from Emmanuel Bible College in 1975; MA in Educational Leadership from the University of Alabama in 1976; Ed.S. from the University of Alabama in 1978; and Ph.D. in Psychology from Columbia Pacific University in 1986. Asa is known by most as a counselor. He began his counseling career as a Principal of a Christian school in 1961. He received the call to preach and began to minister to a small congregation in Mobile, AL. with the Church of the Nazarene. He pastored churches in Greensboro, NC, Gastonia, NC, and Vandalia, OH. In most cases, these congregations doubled during his tenure, and he led hundreds of people to Christ. Believing in missions, he helped found a church in Barbados, which is now one of the largest churches on the island nation. Feeling his ministerial duties complete but still feeling the call to counsel those in need, Asa accepted the position as Executive Director of Crossroads Youth Center in Decatur, AL in 1975 where he helped hundreds of teens with unique counseling needs. In 1989, he moved to Montgomery, AL, as Education Administrator for the Alabama Dept. of Education, acting as a consultant for school counselors. Asa visited every school in Alabama each year advising school counselors. Asa is quoted saying that one of the greatest honors bestowed upon him is the annual "Asa Sparks New Counselor of the Year Award," presented annually by the Alabama School Counselor Association. Asa is a published author: Illustrations from Science, 1969; God Says I’m OK, 1976; Hope for the Frogs, 1979; The Two Minute Lover, 1989; The Complete Toonerville, 1999; and Noah’s Lark, 2007. He served as psychology columnist for the Decatur Daily and Montgomery Advertiser, editor of The Toonerville Times, contributor of articles to many newspapers, magazines, and e-publications. Asa’s greatest quality was his ability to make anyone laugh. He has written stories and jokes that have circled the globe, helped along by his many friends in his humor groups. Asa served as executive director of a MENSA chapter, president of the Alabama Speakers Association, and participated or led many other organizations. He won too many awards to mention. When he retired in 1998 to Windlands East in Madison, TN, he continued to help others, serving as president of the tenants’ association.